One of the most crucial challenges that landlords have to go through each month is the collection of rent. Often tenants fall behind on their rent citing some excuse or another. It is important for a landlord to make sure that his tenants pay their rent on time or lose out on their rental income. The following are some useful tips landlords can use to prevent their tenants from falling behind on their rent. The most obvious and important tip is to select a tenant that is most likely to pay the rent on time. Landlords who choose their tenants wisely never have to worry about late rent payments. There are a number of ways of ensuring that you have chosen the right tenant for your rental property. You can check their credit history and their current financial standings to see whether they are capable of paying the full amount of rent on the due date or not. Some tenants take advantage of landlords who do not keep records of rent collection and try to get away with the month’s rent. Therefore, it is extremely important that you note down each rent payment made by the tenant in a diary or note book so that you can show it to them if they try to con you. Moreover, in legal proceedings as well such as in an eviction case, it is compulsory for a landlord to produce the record of rent payment made by the tenant in court. It has been observed that some tenants try to get away from paying the rent each month by complaining about the repairs that need to be done at the rental property. To avoid such situations, it is crucial that you perform all the necessary repairs as quickly as possible so that your tenant doesn’t have anything to complain about when you ask them for the rent on the due date. 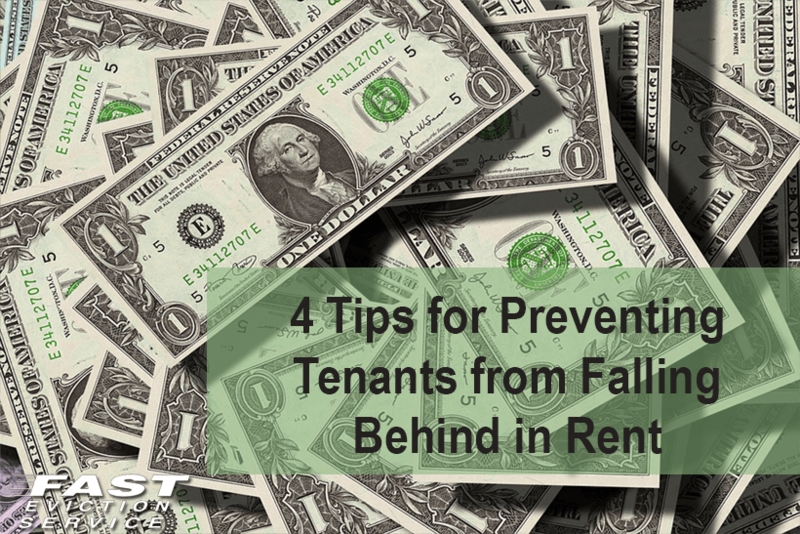 One of the best tips that landlords can use to prevent tenants from taking rent payment lightly is to keep on visiting the rental property every few months. This way you will show the tenant that you care about your property and will not compromise on late rent payments. However, do keep in mind that you will have to ask permission from the tenant before entering the rental property when you visit.